• Wendy Davis aide: 2014 run for governor possible (Politico): "A strategist for Texas Democratic state Sen. Wendy Davis said Friday that she is 'looking very closely' at a run for statewide office, including the governorship, in 2014. … A statement to POLITICO Friday from Matt Angle, director of the Democratic political firm Lone Star Project and a Davis strategist, provided more clarity about a potential statewide bid — and it could come sooner than later. 'Right now, she and her team, in collaboration with the Lone Star Project, are looking very closely at the dynamics in Texas and the circumstances coming together for 2014,' Angle wrote." • Wendy Davis spoke with DGA chair Peter Shumlin (Politico): "Texas state Sen. Wendy Davis, whose sensational filibuster in support of abortion rights vaulted her to national prominence and stoked speculation about a possible 2014 campaign for governor, spoke this week with Democratic Governors Association chairman Peter Shumlin, according to a source familiar with the conversation." • Cruz: Despite filibuster, Texas opposes abortion (The Associated Press): "Firebrand U.S. Sen. Ted Cruz said Friday that most Texans still oppose abortion, despite the national stir caused by a Democratic filibuster 'and a handful of protesters' in the state Senate this week that blocked a sweeping bill to further limit the procedure. The tea party darling addressed the National Right to Life Conference in suburban Dallas. He was such a hit that when Cruz strode through a side door moments before he was scheduled to speak, the person on stage had to stop as the crowd cheered and climbed to their feet. Once at the microphone, Cruz called what happened in the state Legislature 'a battle.' 'If you listen to the media those rowdy protesters were adopting the popular view,' he said. 'Yet the simple reality is, 62 percent of Texans oppose late-term abortions.'" • Federal grand jury indicts Texas woman accused of sending ricin letters to Obama, Bloomberg (The Associated Press): "A Texas woman was indicted Friday on charges that she sent threatening, ricin-laced letters to President Barack Obama and New York Mayor Michael Bloomberg in an attempt to frame her estranged husband." • Perry Defends Davis Comments: "Gov. Rick Perry on Friday morning defended his comments about state Sen. Wendy Davis, saying he was 'sad that she does not understand that every life is precious, certainly her own.'" • Straus: Perry Crossed Line on Davis Comments: "One of the most powerful Republicans in Texas, House Speaker Joe Straus, said Friday that Gov. 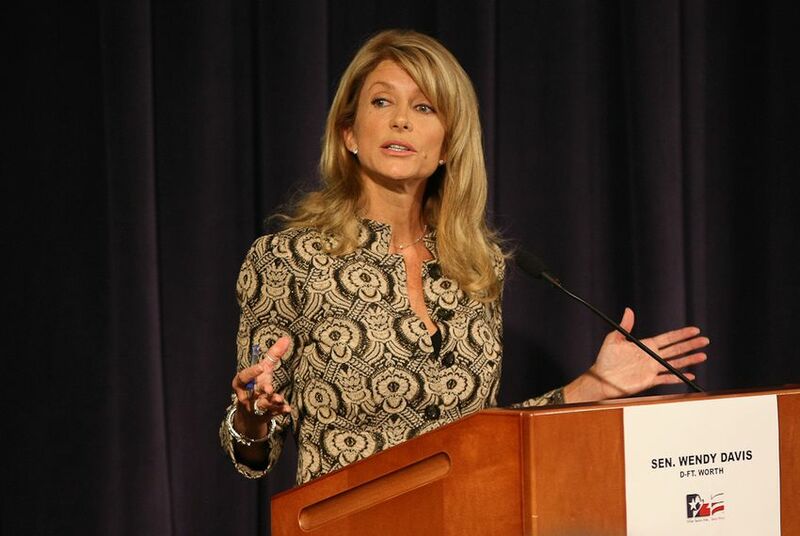 Rick Perry’s controversial remarks about Democratic Sen. Wendy Davis were inappropriate and damaging to the GOP brand. Straus, briefly interviewed by The Texas Tribune as he was leaving the Texas Capitol for his home in San Antonio, said Perry's comments were not helpful to Republicans because they centered on Davis in personal terms and veered away from the conversation about abortion policy. 'Disagreements over policy are important and they’re healthy, but when he crosses the line into the personal, then he damages himself and he damages the Republican Party,' Straus said." • How Activists Yelled an Abortion Bill to Death: "The remarkable and surprisingly successful moment had not been planned by the established groups like Planned Parenthood, NARAL Pro-Choice Texas and the Texas Democratic Party that had done much of the organizing for the protests against Senate Bill 5. Instead, it grew organically with the help of a smaller coalition of groups — including local chapters of the Occupy movement and the International Socialist Organization, or ISO — that helped goad the crowd to a level of civil disobedience not seen in the Texas Capitol in decades." • For Democrats, Abortion Debate and Filibuster Create a Line in the Sand: "What was supposed to be a rallying point for anti-abortion conservatives instead proved to be a bigger draw for liberals in favor of reproductive rights. Demonstrators showed up in growing numbers as the various debates went on, in committees, in the House and then in the Senate. Because of some combination of good strategy, bad strategy and dumb luck, the legislation got to the full Senate on the last day of the special session, within range of a filibuster. Cue the Democrats." • Law Could Set Stage for Juvenile Justice Reforms: "A new law allowing Travis County to commit juvenile offenders to local detention facilities instead of large state institutions could set the stage for the next steps in reforming Texas’ juvenile justice system."